All in One Fitness is a fitness center offering personal training services design to help you weight train, build muscle, tone up and shed the inches in a quick and effective matter. "Helping You Lead A Healthier Life"
Wayne has had a true love for exercise and helping others for over 40 years - owning and operating his first gym in New York from 1978 until 1985. In 1985 he moved to Phoenix, Arizona and began his own private fitness business training in local gyms in the Tempe and Scottsdale areas. 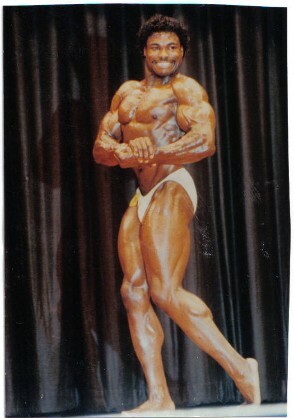 While Wayne was helping others get fit he was also participating in Body Building Competitions, winning over 20 First Place awards and awarded the NATIONWIDE BODY BUILDING CHAMPION. In September of 1998, Wayne opened All-In-One Fitness and since then has been providing personal one-on-one training to his clients. Wayne Hammonds has earned the respect and trust of the community, his training and fitness center thriving by only word of mouth advertising. Whether you are looking to participate in a body building competition or just simply lose weight, tone-up and get healthy. At All in One Fitness you will find options to suite your needs at very reasonable cost. it is the only body you have"